KANNAD, high quality and high performance distress beacons selected by the world most famous aircraft builders and airlines companies. Minimum of 48 hours continuous operation! Perfect to carry in addition to your onboard ELT installation! Manage your beacon and get extra advantages! 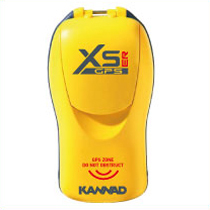 Register Kannad's dedicated web site to get 5 year warranty (2 years + 3 years) Free access to beacon history (next maintenance date, battery life…) Programmer-friendly, easy coding of the beacon. SARLINK VIEW 406MHz GPS PLB W/Digital display, internal 66 channel GPS, high intensity strobe light, typical performance: 30-35 hours, mounting holster included. 5 year warranty.